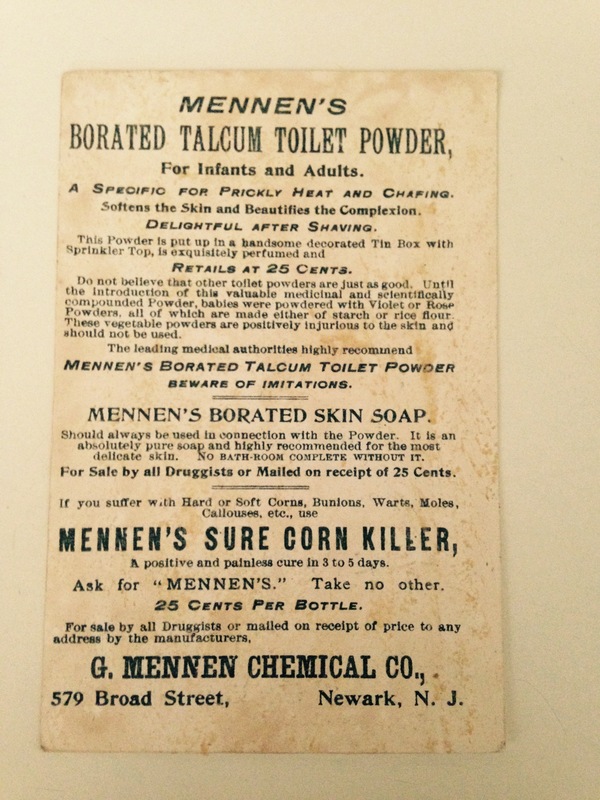 The Mennen Company was founded in 1878 by Gerhard H. Mennen , an immigrant from Germany. His first product was talcum – based powder , an innovation at the time. The company was originally located in Newark, New Jersey, moving to Morristown, new jersey in 1953. The Mennen family sold the company to Colgate in 1992. Gerhard Mennen’s grandson, G. Mennen Williams, served as governor of Michigan from 1949-1961 and as Assistant Secretary of State for African Affairs under President Lyndon B. Johnson from 1961-1966. The last location of the Mennen Company in Newark is now St. Phillips Academy. 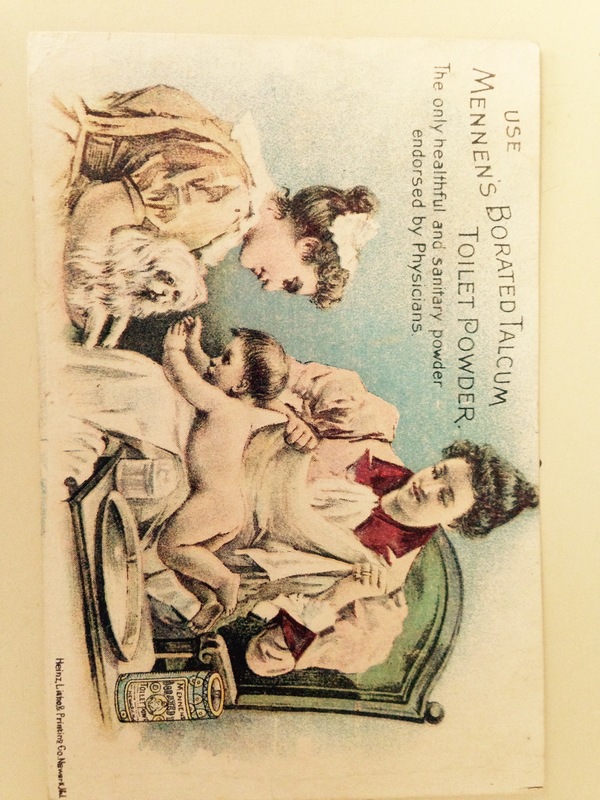 The trade card included in this blog was printed when the Mennen Company was still downtown where it was founded. My Name is Benjamin B Adams III and my godmother was Bess Mennen 1st wife. They had two sons, Billy & Jeff who were my friends growing up. I would like to contact them. My cell phone # is (585) 217-6981 and I live in Brockport NY @ 461 Lawrence Road, 14420 – I hope this works. Q. I’d like to buy some deodorant. Q. Do you want it scented? A. No, I’ll take it with me.